Charles is ready for a new playmate! He ate his last one! 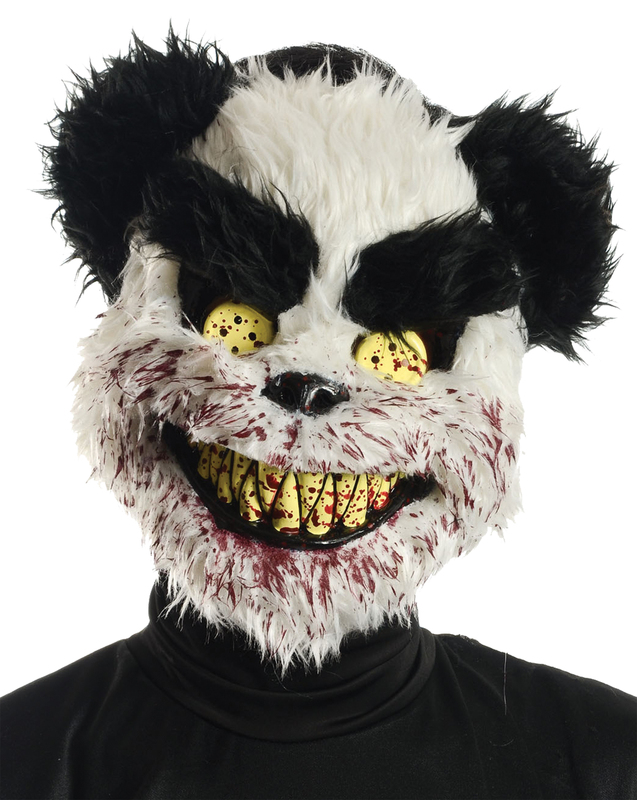 This scary teddy bear mask features black and white plush fur with yellow button eyes, sharp yellow teeth and splattered blood from his latest little buddy. Plastic mask is held in place by an elastic strap that goes around the back of the head. Give everyone nightmares for months with this gruesome teddy bear mask!